Quickly add tasks to Asana from any webpage. Put your tasks directly in the right project with the project picker. 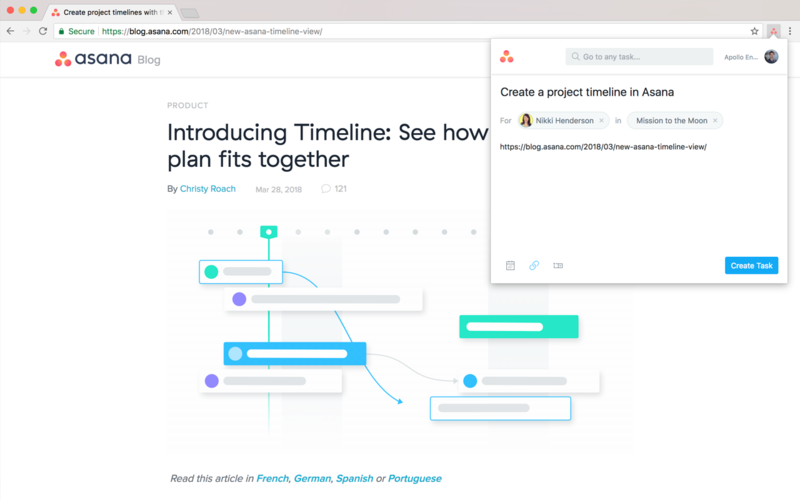 Add the current URL as a task, so you can read articles later or share them with teammates. Inlude task description and assign to yourself or a teammate. Add custom fields to your new tasks. Need help? Contact Asana support.